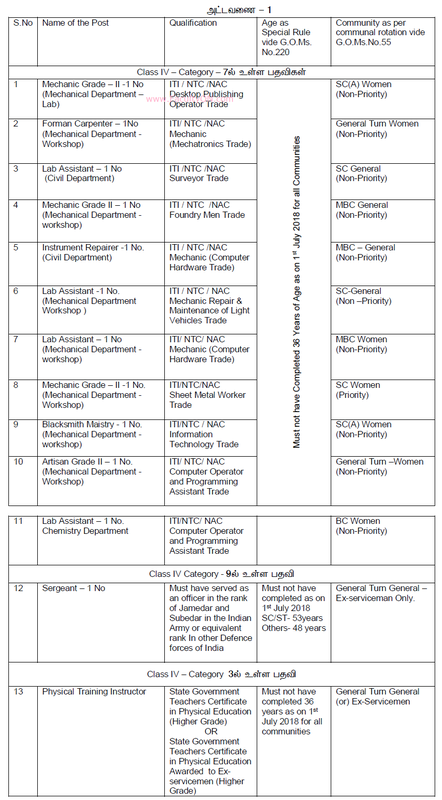 Alagappa Chettiar College of Engineering and Technology (ACCET), Karaikudi has advertised for the recruitment of Non-Teaching Faculty jobs vacancies. Interested and eligible job aspirants are requested to apply on or before 30th November 2018. Check out further more details below. About College: Alagappa Chettiar Government College of Engineering and Technology is an autonomous college of engineering in Karaikudi, Tamil Nadu, India. Established in 1952, it is under the control of the government of the State. How to Apply: Interested and eligible candidates are requested to send application in prescribed format downloaded from college website along with copies of certificates, copy of 10th Std (SSLC), copy of ITI/NTC/NAC, copy of communication certificate, the post applied for (with serial number) and recent PP size photos to the following postal address.